This week had so much potential to be a rotter and I distinctly felt like wallowing in my own personal pool of despondency but instead kept my chin up, held my tongue and buckled down. It feels like I've actually had a better week than usual. I'm feeling inspired and motivated with plenty of things I want to plan, put into action and fulfil. 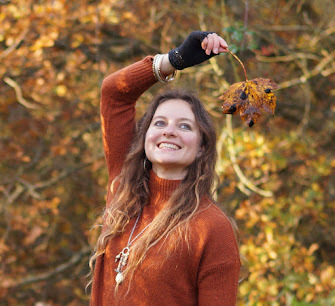 It's such a great time of year for getting out in the evenings; be it to exercise, pop to the allotment or just take a walk to relax and enjoy the lighter days. In the same way, it also makes for more exhausting days as they can be more jam-packed full of doing things. I'm trying to maintain a healthy balance. 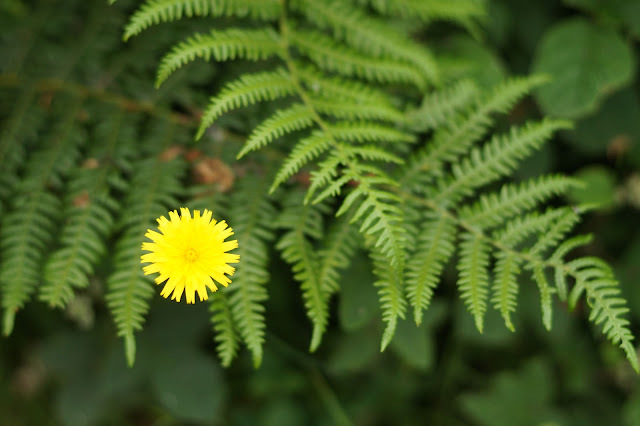 This simple photograph of a fern and a dandelion is one which feels so fresh and cheerful. I'm trying to keep my life simpler, clearer and cheerier, so it's pretty apt really. By far the most frustrating thing about trying to change and improve a lifestyle is the factors beyond your control; how work plays by it's own rules and you still have to operate under social acceptability. It's all very well wanting to be a more positive and open person but at work you just have to fulfil a role, adhere to policy and make decisions as appropriate instead of how you personally feel. I'm sure I'm not the only one who feels the conflict of interest rather sharply outside of 'free time'. It's July now, the year seems to be going so fast. I suppose a look back at the new years resolutions I made would be in order, it's a good time to reflect and re-adjust at the half way point in the year. You always inspire me Sophie. I love your beautiful pictures and your updates. While I don't know the specifics, I can understand your frustrations with work - anything you can do to make it better? Gorgeous picture. We all get frustrated and I think this is a hard time of year as it's hot, holidays not quite here and everything kind of slows down. Rise above it is a thought that often pops into my head at work (and I work for myself!). It's unavoidable I think. But better to get things done and move on, no point letting things you can't change get you down - you have the right attitude. Save your energy for the things you can change and improve. July, I can't believe it!